Is driving traffic to your website has become a challenge for you? Are you trying hard to increase your traffic through all the current social media websites like Facebook, Twitter and Google+? - This has become challenging for you because you haven’t tried using LinkedIn! 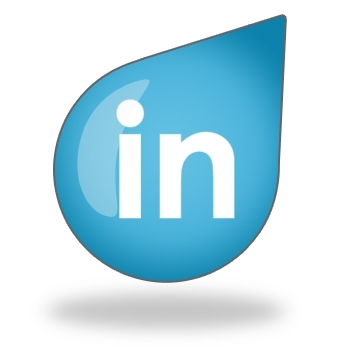 - Yes, LinkedIn is one platform which will drive the highest traffic to your website! - It has around 380 million members and it has been listed as one of the top 10 websites with the highest traffic driven on internet. LinkedIn has a self-publishing platform with the name of LinkedIn Pulse, launched in early 2014. Pulse made it possible for all the LinkedIn members to directly post their articles on LinkedIn without any restriction. Now you are absolutely free to publish anything related to you, your job, your company or your industry on LinkedIn Pulse! Let me explain how you will do this. Yes, this post will talk about how Pulse helps you in boosting your site’s traffic! The best favor you can do for yourself is to benefit from LinkedIn's massive audience. LinkedIn provides you a great exposure. 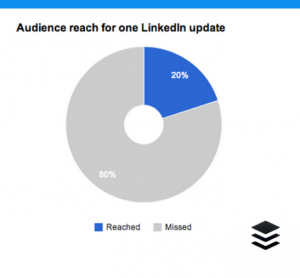 Once you are an active member on LinkedIn, your follower base will automatically increase. And an increased follower base means a really good sign at LinkedIn. 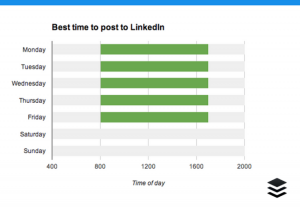 Check how in this study, LinkedIn being a content-based social media site has shown a reach of about 20% of a network. This means that if you post something on LinkedIn, there is a 20% chance that it will reach to its target audience and that's quite a lot! You might have heard this about Content Marketing statement given by Experts. Creating quality content and promoting your website through the content has become the need of the time. Moreover, LinkedIn has made it very easy to publish content on Pulse. 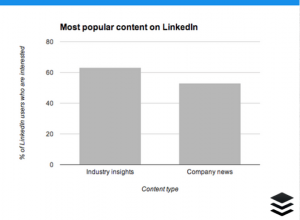 Short articles can do very well at LinkedIn Pulse. You don’t have to always write lengthy posts on LinkedIn because posts below 1000 words are also doing fantastic on Pulse. 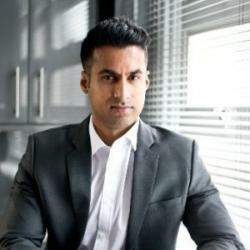 It has become extremely easy to publish an article on LinkedIn Pulse. In fact your post gets published the moment you hit the Publish Button. Now you do not need to wait for lengthy approvals. Remember to choose the Best Time to publish your posts. In all the days, busy business hours have proved to have the highest reach. The more content you will create at Pulse, the more reach it will have because of the high traffic generation. If you want to make your content viral, adopt a strategy of regular publishing. If you are publishing quality content on Pulse, there is a high chance that the a large number of readers will land up to your website through that content. Writing as often as you can about subject matters important to you and your business is the best ever strategy! BONUS: Check out these Extremely Valid 6 Reasons Why You Need To Start Publishing on LinkedIn Pulse Today! The amount of Referral Traffic from LinkedIn to the other business websites also overshadows all other networks, including Facebook. LinkedIn determines around 64% of referral traffic to business sites, with Facebook being in the second place with only 17% of the referral traffic. In case you are confused on what actually referral traffic is, it is Google's method of reporting the visits that came to a site from the sources other than it’s own search engine. Whenever a visitor clicks on a hyperlink and land onto a new page of a different website, the particular click is called a referral visit to the second site. Using other social media sites like Facebook and Twitter is also a great idea. You should always share your Pulse Content on other mediums to bring more traffic on your site. Many publishers don’t know that if you tweet your post to LinkedIn Editorial Team at @LinkedInPulse, they will actually feature your post in their content channel. You see, there are so many posts published daily by LinkedIn users that all of them can’t get the same attention. So what you can do is to send a tweet to LinkedIn Pulse by putting ‘Tip @LinkedInPulse’ at the end of your tweet along with your post’s name and link.. Through this strategy, the Pulse editorial team will actually feature your post in their content channel. This will increase your post’s viewership and readership! From the content you publish on LinkedIn Pulse, you will get a stronger brand recognition and better sales conversions for your business. LinkedIn Pulse is helping individuals to promote their content, their brand, and their business in a great way. Because no audience can give you a better response than the audience at LinkedIn. You will surely get deeper insights through this one!